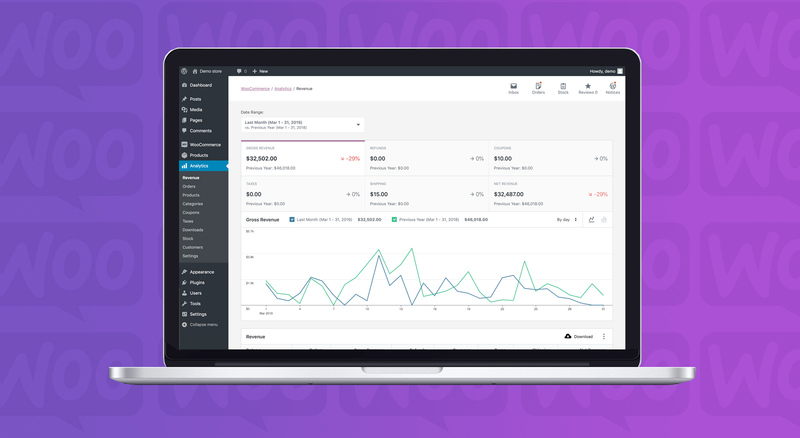 Great news for WooCommerce users as the WordPress shopping cart giant has revealed a new dashboard feature is coming soon! 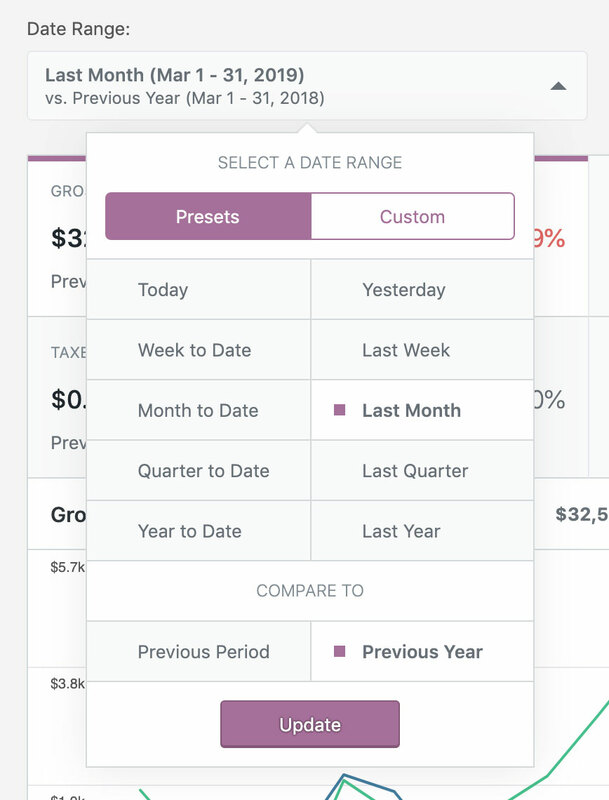 As reported in the official WooCommerce blog, WooCommerce is proud to announce a new ‘Feature Plugin’ for a comprehensive reporting and dashboards. A feature plugin was introduced in WordPress 3.7 as a way for features to be developed for inclusion in WordPress core. Think of it as a stepping stone or trial before being included in the base package. The plugin titled WooCommerce Admin is ready for the world so everyone can start benefiting from new reports, while WooCommerce continue to build features. This is similar to WooCommerce Product Blocks, which started as a feature plugin and will now be part of WooCommerce core. The WooCommerce Admin plugin features a central dashboard that, in time, will become the default in future versions of WooCommerce. Below are some of the highlights of what’s in store. Just like Shopify and Magento, WooCommerce store owners can also now select date interval for charts, depending on the date range selected. 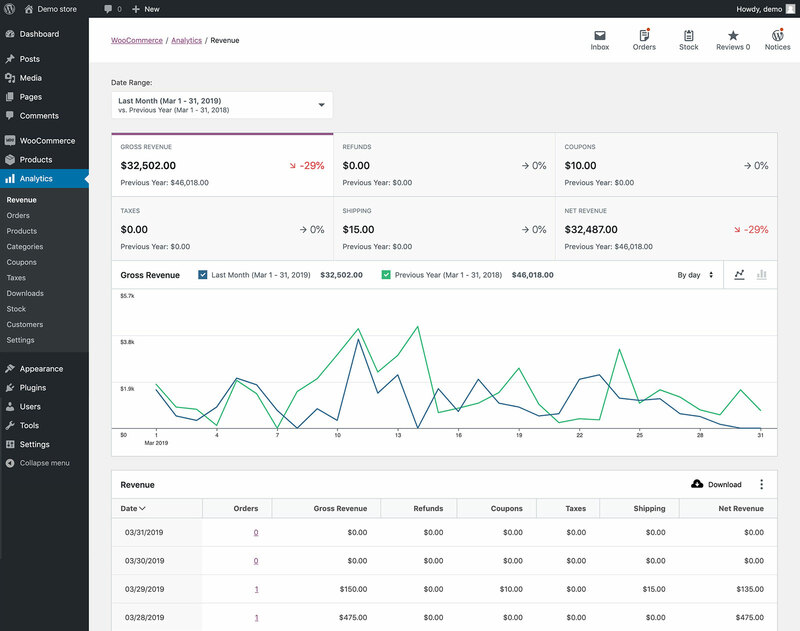 WooCommerce have reworked existing reports to be more useful and introduced a new report for product variations to help store owners better monitor and understand their business. It includes a new Inbox notification feature streamline notifications. 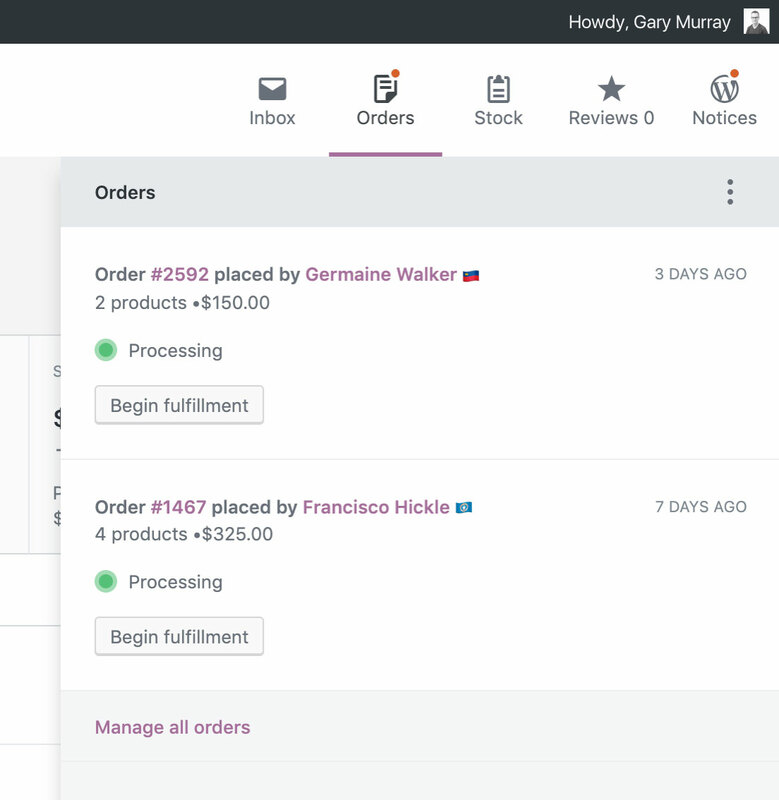 The new Inbox cleans up all notifications relevant to managing a WooCommerce store, ensuring that store owners only get what’s important and in one central location.